← New Hot Romance, Romantic Suspense, and Historical Fiction! Great new books from Clive Martyn, J. C. McGuire, and the Come Out For Me anthology authors: Cody L. Stanford, Milla van der Have, Cindy Allen. Recovering from the emotional trauma of their youngest daughter’s cancer, John and Cathy Hamilton take their young family to a beautiful 5-star hotel on an idyllic Caribbean island, expecting the holiday of a lifetime. Three stories of first love—the awakening and the uncertainty, the torment and joy—and the journey of three gay and lesbian couples through their past, present, and future. If Aelida believed that telling her secret would bring peace, she was sadly mistaken. 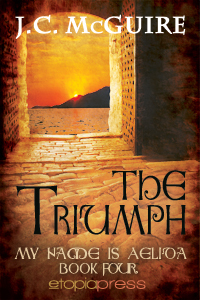 Britain stands on the edge of destruction, and those who struggle for her survival can only do so much, even for the daughter of King Arthear. For her people, Aelida will endure anything, even the touch of Britain’s most hated enemy, the murderer of her father. With all else gone, Britain’s Queen is the last hope of a nation. 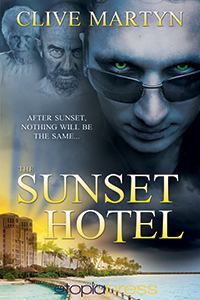 This entry was posted in Etopia Press, Historical, New Releases and tagged Cindy Allen, Cody L. Stanford, Come Out with Me, J.C. McGuire, Milla van der Have, The Sunset Hotel, The Triumph. Bookmark the permalink. Great post. With an awesome launch party. Take a look.